HMCS Haida was a Tribal-class destroyer that served in the Royal Canadian Navy (RCN) from 1943-1963. 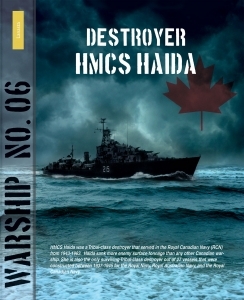 Haida sank more enemy surface tonnage than any other Canadian warship. She is also the only surviving Tribal-class destroyer out of 27 vessels that were constructed between 1937-1945 for the Royal Navy, Royal Australian Navy, and the Royal Canadian Navy.